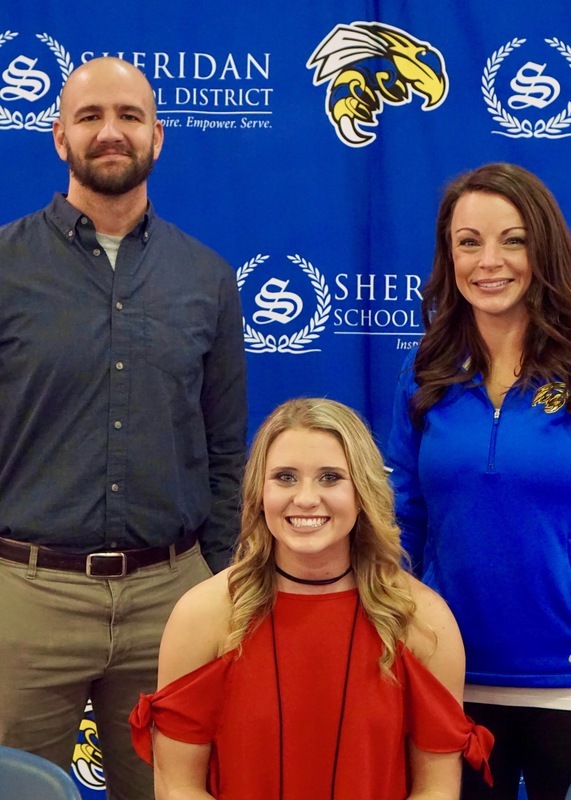 The Arkansas Activities Association announced today that Sheridan High School senior, Maggie Hicks, is the 2017-2018 Wendy’s Softball Player of the Year. Hicks will be honored at the Wendy’s Player of the Year Luncheon on May 21 at the Holiday Inn Airport Conference Center in Little Rock. Hicks has helped lead the Sheridan Lady Jackets to an impressive 29-3 season this year as well as two consecutive state championships, 2016 and 2017. On Saturday, the Lady Jackets will go for three consecutive state titles as they take on the Marion Patriots. Sheridan’s Head Softball Coach Tamara Strawn says Hicks is every coach’s dream as a player. “Maggie makes plays that are only seen on ESPN,” said Strawn. “She is faster than a hiccup and will do whatever it takes for her team to be successful. Maggie is well deserving of this award and any other award she has received. She has sure helped pave a rock solid foundation in our Lady Jackets softball program," said Strawn. During the 2018 season, Hicks had nine home runs, 31 RBIs, a .506 batting average, a .545 OBP and 14 stolen bases. Hicks made the All-Conference and All-State teams in grades 9 - 12. She was named the Max All Preps Softball Player in grades 9-11. She also was named the Tri-Lakes Player of the Year and the MVP State Player in 2017. But according to Strawn, what makes Hicks really stand out as a player is her character. “Maggie is a great leader, has the most respectful and humble character, and is an outstanding role model and mentor for her teammates and future players,” said Strawn. Off the field, Hicks is an excellent student with a 3.89 GPA. She served on the Student Council throughout high school and was crowned Homecoming Queen and Prom Queen her senior year. Next school year, Hicks will play softball for the Arkansas Razorbacks, a dream she has had since she was a little girl. She plans to study social work and become a counselor after college.